Ollabelle On Mountain Stage Its members might be from Manhattan's Lower East Side, but Ollabelle evokes the classic Americana and roots music of the country. Members of Ollabelle perform songs from their recent album, Neon Blue Bird. "Lovin' In My Baby's Eyes"
The New York City roots band Ollabelle makes its third appearance on Mountain Stage with songs from its first new studio album in five years, Neon Blue Bird. 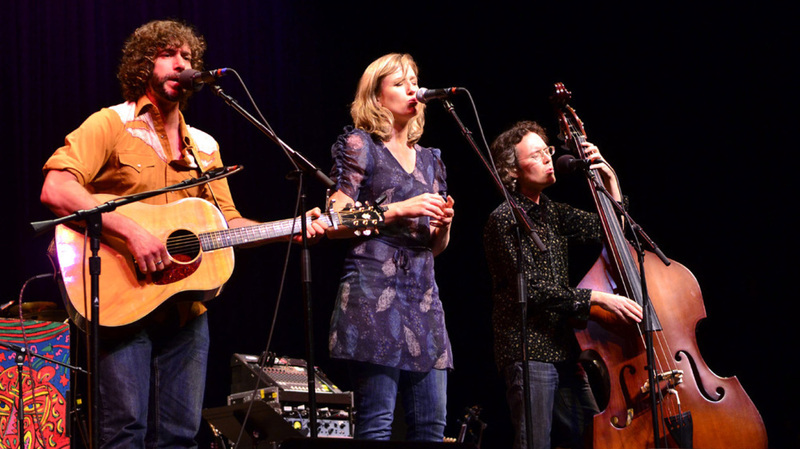 Formed in 2001 in a small bar on the Lower East Side, the group quickly became one of the most popular acts on the Americana music and festival circuit. Taking their name from influential Appalachian songwriter Ola Belle Reed, the five members of Ollabelle (who all sing and play) blend indigenous American music styles, mixing folk, blues and gospel. Ollabelle's self-titled debut was produced by roots-music legend T-Bone Burnett, and its second album Riverside Battle Songs was co-produced with former Bob Dylan band member Larry Campbell. Ollabelle's self-produced Neon Blue Bird features a mix of original material, traditional songs and covers — a mix reflected in this seven-song set. This show originally aired on October 10, 2011.